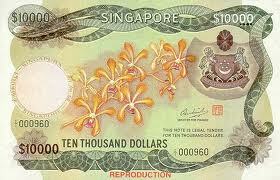 The Brunei Dollar (BND) is the official currency of Brunei Darussalam. The Cambodian Riel (KHR) is the official currency of Cambodia. The Indonesian Rupiah (IDR) is the official currency of Indonesia. The Lao Kip (LAK) is the official currency of Laos. The Malaysian Ringgit (MYR) is the official currency of Malaysia. The Myanmar Kyat (MMK) is the official currency of Myanmar. The Philippine Peso (PHP) is the official currency of the Philippines. The Thai Baht (THB) is the official currency of Thailand. 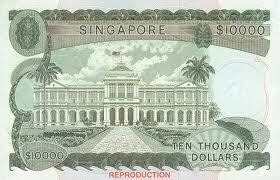 The Singapore Dollar (SGD) is the official currency of Singapore. 1 Singapore Dollar approximately equals 25 Thai Baht. The Vietnamese Dong (VND) is the official currency of Vietnam. Last updated : September 9th, 2012.